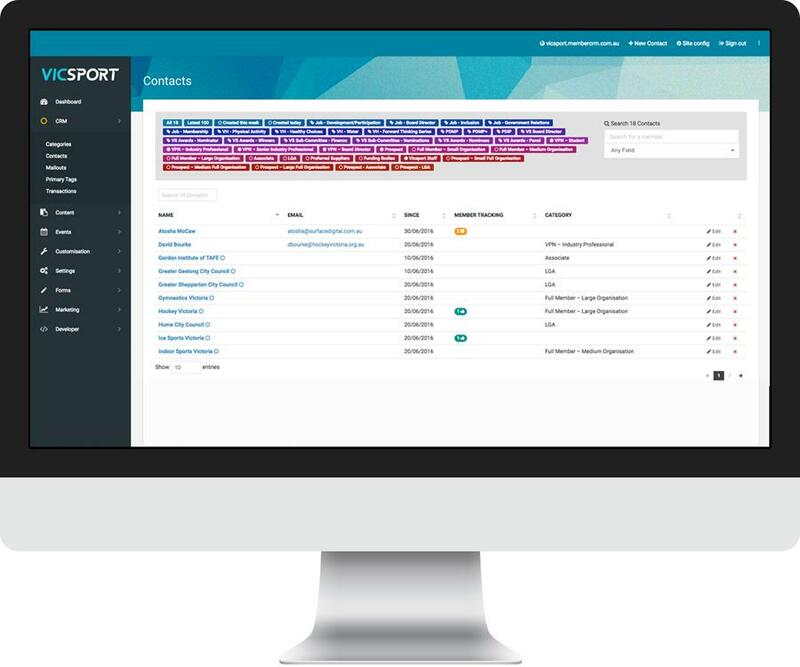 For administrators, MemberHQ CRM provides world class tools to enable Vicsport to receive online membership payments, sell tickets and manage events, send custom emails and SMS notifications to database segments and much more. "Surface Digital really took the time to ensure that all our specific needs were understood, and then rolled out a final product that ticked all the boxes for our whole team"
for memberships, events or anything you like. add notes and track contact interactions. and send targeted, personalised campaigns. and key dates from within your industry. time from right within your site via credit card. to produce whatever reporting you require.